This high quality waterproof poncho is a must-have rucksack item for anyone taking part in a walk in England. Although East Sussex benefits from some of the best weather in the country, who really knows when a sudden down-pour will try and throw you off course! 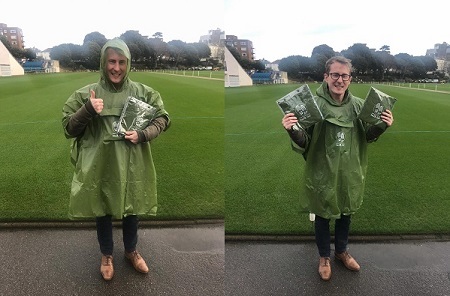 This handy-sized poncho features poppers down each side, a hood and a pocket at the front, and folds way neatly into your bag taking up very little space when it’s not needed. We hope you won’t need to use it, but you’d rather be safe than sorry!